The Intermission is still seeking its new editor! The Club welcomed trombonist, vocalist & band leader Paul Ingle all the way from Melbourne, Australia. This indeed was our finest hour with Paul playing with tremendous infectious energy all afternoon. G’day Mate! Thank you for coming, we miss you already. 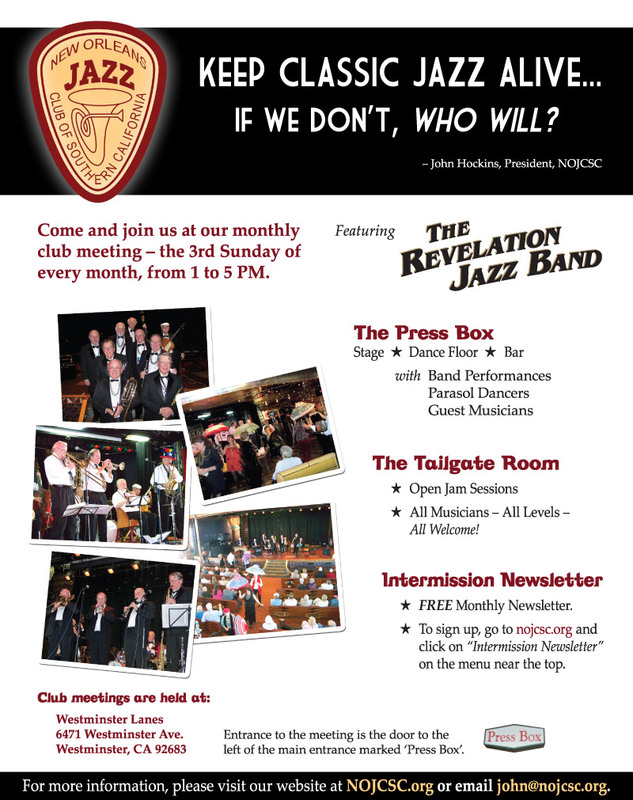 Join us at our next club meeting on Sunday, August 19, 2012 at the Press Box at Westminster Lanes (info below) for an entertaining afternoon of traditional jazz featuring the Revelation Classic Jazz Band and guest musicians!